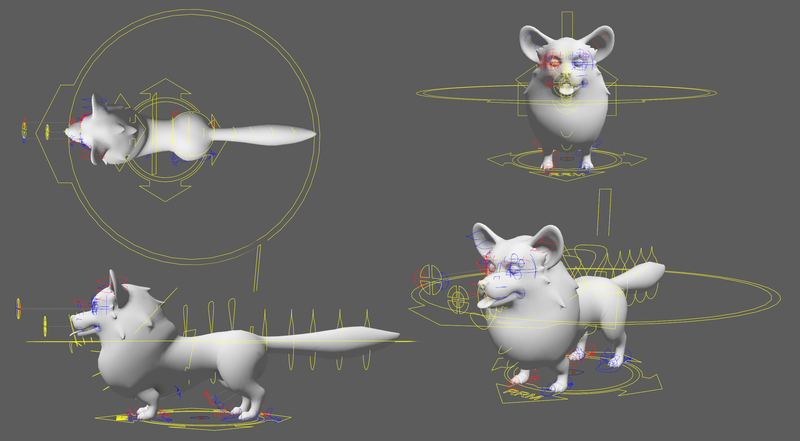 An animated corgi with a set of base animations. Animations - Idle, Idle with Look, Running, Walking and Sitting. Fully set up control rig in a clean file. Each animation in its maya file so you can tweak them. Full set of PBR Textures. .OBJ file of just the mesh. An export of the rig and animations in .FBX format for directly importing to unity/unreal. Scaled to the correct size for use in unreal 4 and unity. Rig works correctly in both too.